Did Sony just throw in the towel? I ask because they announced their new flagship, the Xperia Z4, this morning at a press event in Japan. While there is nothing wrong with announcing a product in Japan, they didn’t bother to tell anyone outside of Japan and also don’t have anything to announce yet in terms of availability outside of Japan. That’s odd, right? This is supposed to be their next hit. Or is it? Or is this a, “Hey, we have a new phone, but are about to pull the plug on our smartphone business and don’t want to spend much promoting it,” type of thing? Whatever the reason for the quiet unveiling, let’s talk about the new Xperia. In terms of specs, the Sony Xperia Z4 is hardly different than the Xperia Z3. You are looking at a 5.2-inch 1080p LCD display, 2.0GHz Snapdragon 810 octa-core processor, 3GB RAM, 32GB storage, micro SD card slot, 20.7MP rear camera, 5.1MP front camera, 2930mAh battery, IPX8 waterproofing, Android 5.0, and a body that is 6.9mm thick. The differences here are the Snapdragon 810, slightly slimmer body and battery, and new 5.1MP front camera. That’s pretty much it. As you can see from the pictures, it even looks like a Z3. The phone comes in white, black, copper, and aqua green, and has a metal frame. It also managed to ditch a USB cover yet remain waterproof. Improvement! 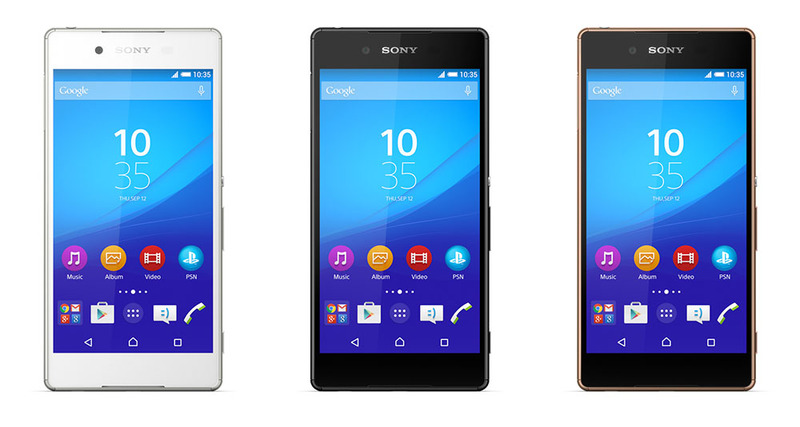 The Xperia Z4 arrives this summer, in Japan. Again, Sony doesn’t want to talk about this phone at all outside of Japan, so we have no idea if it’s going to make it anywhere else. It seems like it should – at least to Europe. Maybe it will, maybe it won’t. Maybe this is the end or maybe this is just Sony stalling before it shifts into a new mobile focus outside of Xperia. Whatever they are doing, this feels more half-assed than what HTC did with the One M9. Ugh.